The Maiberger Institute is fully committed to conducting all activities in strict conformance and compliance with all legal and ethical responsibilities in regard to its promotional activities, program content and in the treatment of program participants. The monitoring and assessment of compliance with these standards will be the responsibility of the CE Program Administrator. While The Maiberger Institute goes to great lengths to assure fair treatment for all participants and attempts to anticipate problems, there will be occasional issues which may require intervention and/or action on the part of the Maiberger Institute. This procedural description serves as a guideline for handling such grievances. Please be sure to sign required Releases at the end of the “Grievance Complaint Form“. Your complaint cannot be processed without your signature as it allows us to properly handle the complaint. We will make all efforts to adequately address and resolve any properly filed grievances, including but not limited to referring ethics complaints to the appropriate state licensing board for possible further investigation. However, we cannot and do not guarantee any specific action or result and will address each complaint on a case by case basis in our reasonable discretion. The investigation process is a paper process. We do not conduct interviews in person or via the phone. It is important that any information submitted be relevant to your specific complaint. Please send us copies, not originals, of any documents. Please do not include pictures. The Maiberger Institute does not accept anonymous complaints. Filing a complaint on behalf of another person is also not permitted. 1. Have I attempted to resolve the problem by discussing it directly with the trainer/facilitator/consultant? 2. Is there a local or state organization to which I could submit my concern? Filing a complaint with us may or may not be the best option for you to pursue your objectives. The Maiberger Institute is an independent organization. The highest sanction the Maiberger Institute can impose is to expel a trainer/facilitator/consultant from the Maiberger Institute and/or its trainings with notifications to relevant entities, or encourage you to refer the complaint or grievance to the proper board for further review. The Maiberger Institute cannot obtain a monetary award for you from the trainer or the consultant or require that the trainer or consultant do something for your request. The Maiberger Institute does not provide a license to be a trainer or a facilitator or a consultant and cannot restrict a therapist from practicing. State licensing boards control the ability to practice as a therapist. These state regulatory organizations are separate entities from the Maiberger Institute. 3. Does the behavior clearly fit within one or more of Code of Conduct Standards of the Maiberger Institute (“Code of Conduct”) and do you have documentation that you are legally able to share to prove the allegation? Please note that the “Code of Conduct” for the respective EMDR Trainings or Somatic EMDR Workshops included in the applicable Participant Agreement is aspirational only and do not provide the basis for an ethics complaint. How Much Time Do I Have to File My Complaint? You have two years from when the behavior occurred or was discovered to file a complaint or grievance with the Maiberger Institute (this does not apply to any complaints filed outside of the Maiberger Institute, including any statute of limitations under any governing board or applicable law). Can I file a Complaint on Behalf of Another Person? No. It is very difficult to conduct an investigation without the involvement of the individual who has direct knowledge of the conduct in question and who is able to consent to allow the psychologist to respond to the allegations and to the release of relevant records. While third parties may be able to provide a written summary as a supporting witness to corroborate a complainant’s allegations, third parties may not act in the role of complainant. Can I File a Complaint Against an Organization? The Maiberger Institute only accepts complaints against trainer/facilitator/consultant(s) acting in their individual capacities and not third-party organizations. In other words, the Maiberger Institute can only address each trainer/facilitator/consultant’s unethical behavior as an individual working in his or her capacity for the Maiberger Institute. If you have a complaint against an organization, psychology department, doctoral program, or internship or post-doc site, please refer to their grievance policy. Our ethics review process will begin after you have completed and we have received the Grievance Complaint Form along with any supporting documentation. The complaint process can take a minimum of six months to one year to complete. In some instances, the process may take several years or more if there are other reviews and/or legal processes that are occurring. It is important that our office receive your cooperation throughout the course of the investigation. Requested information, such as decisions from licensing boards, should be sent in as soon as they become available. Can I Call the Maiberger Institute About My Complaint After I Have Filed It? General procedural questions may be answered over the phone but questions regarding a specific complaint must be submitted in writing via postal mail or fax. For example, a question regarding the status of a specific complaint must be submitted in writing. Why Are Some Complaints Closed? We understand that having a complaint closed without action may be disappointing to you. However, please note that all complaints are reviewed thoroughly and each complaint is taken very seriously but ultimately determined in the Maiberger’s reasonable discretion. 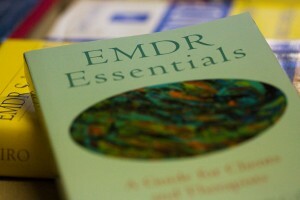 A behavior may be upsetting to you but may not be a clear violation of a specific standard of Maiberger Institute’s “Code of Conduct” outlined in the Participant Agreement for our EMDR Trainings and our Somatic EMDR Workshops. Complaints may also be closed without further action because there is not sufficient evidence to prove the behaviors, or the violations have already been adequately addressed in another forum or are likely to be corrected. It is also possible that at the time the complaint is reviewed, the trainer/facilitator/consultant is no longer associated with the Maiberger Institute and we cannot take any remedial action. Where Can I Get More Information About the Complaint Review Process? Please refer to “Procedure for Filing a Complaint or Grievance” above or the Maiberger Institute “Code of Conduct” outlined in the Participant Agreement for our EMDR Trainings and our EMDR Advanced Workshops for additional information concerning the complaint review process.